David O’Brien (left) and Quy Pham are excited to receive the ministry of acolytes as it is one step closer to their ordination to the priesthood. 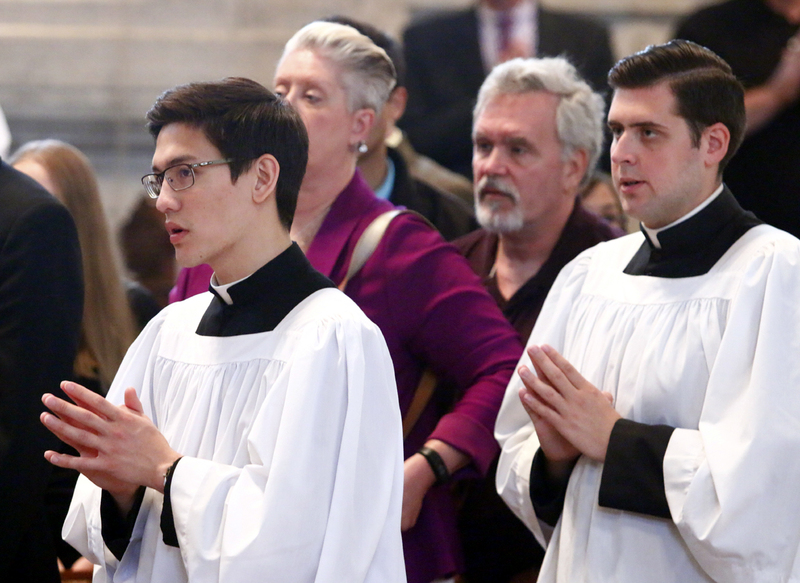 Anthony Raymundo (left) and Alexander Pancoast pray during Mass. 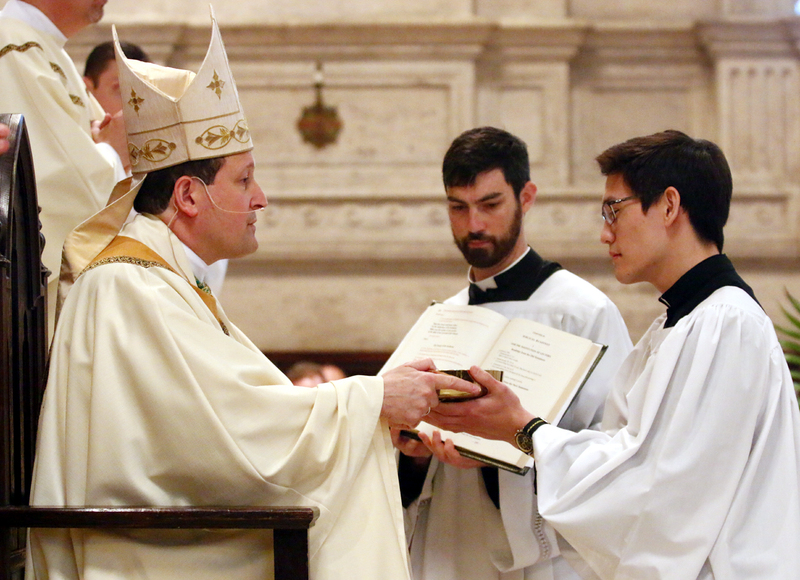 Anthony Raymundo is installed in the ministry of acolytes by Bishop John McIntyre. 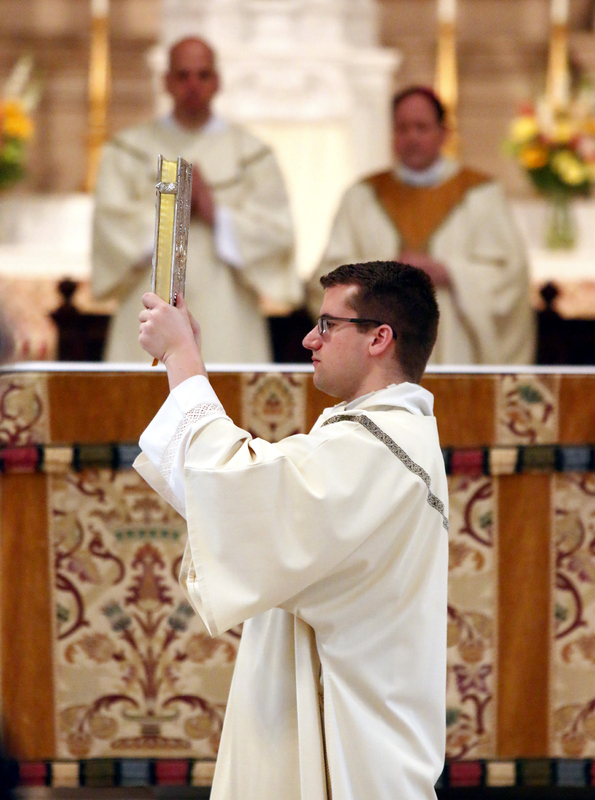 Permenant diaconate candidate Anthony Willoughby is installed to the ministy of acolytes by Bishop John McIntyre. 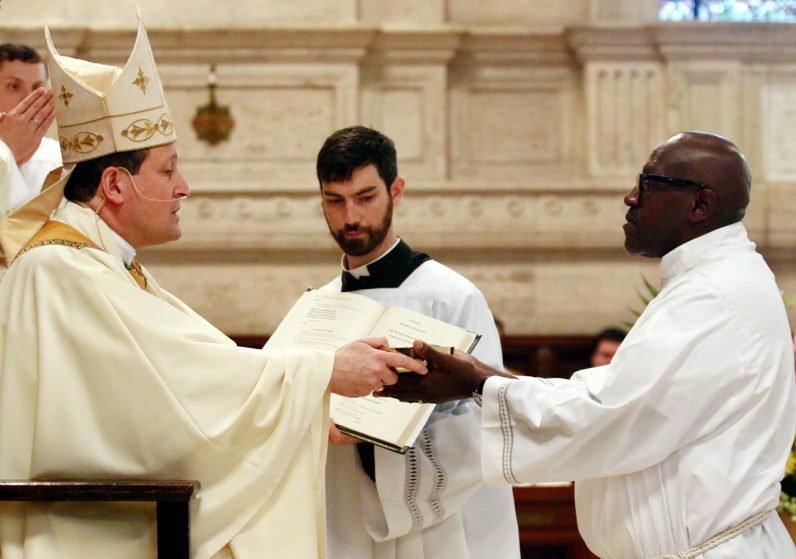 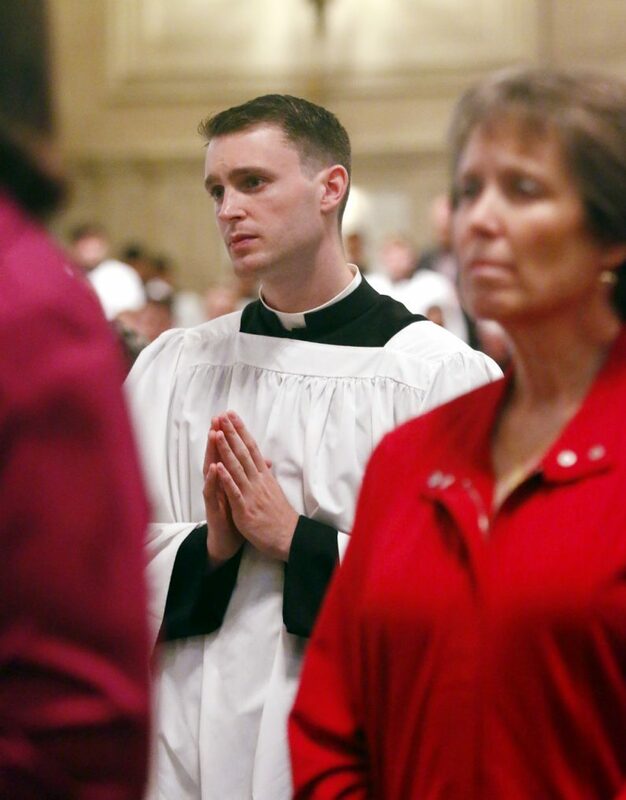 Newly conferred acolyte David O’Brien prays during Mass. 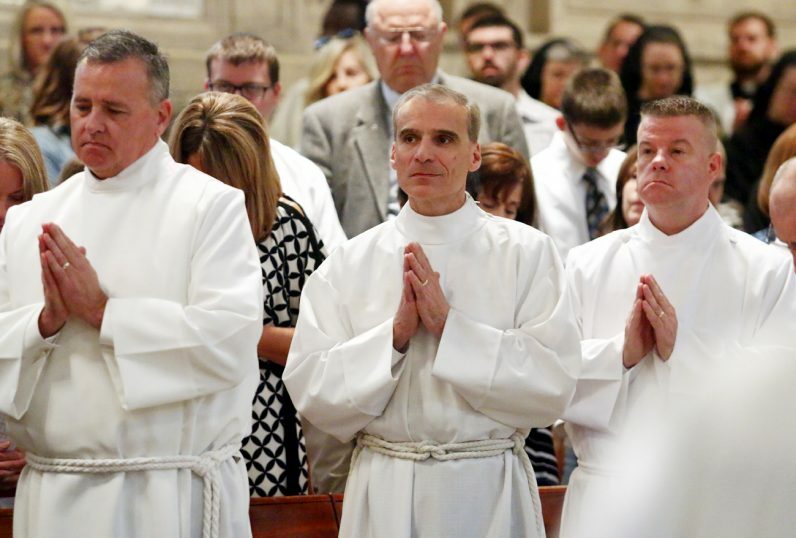 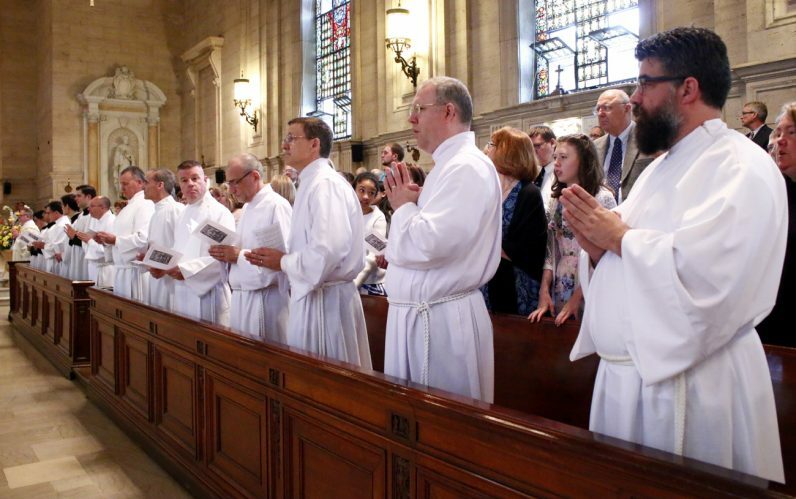 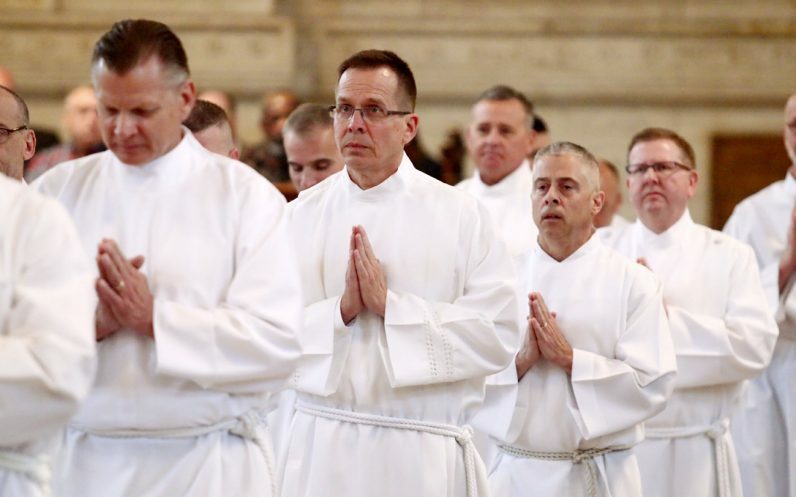 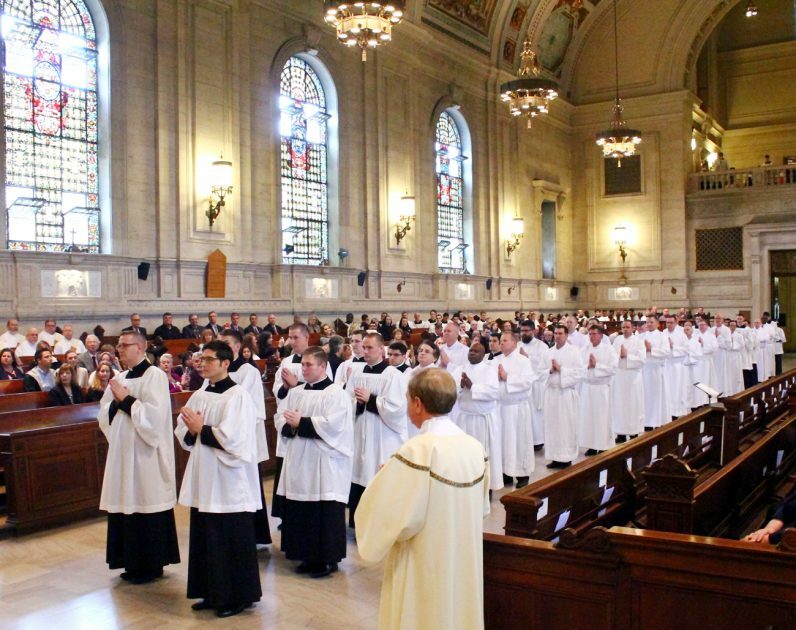 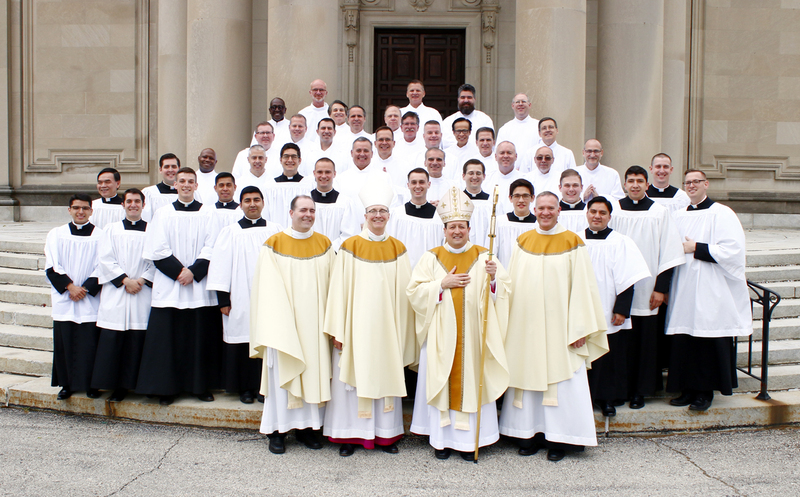 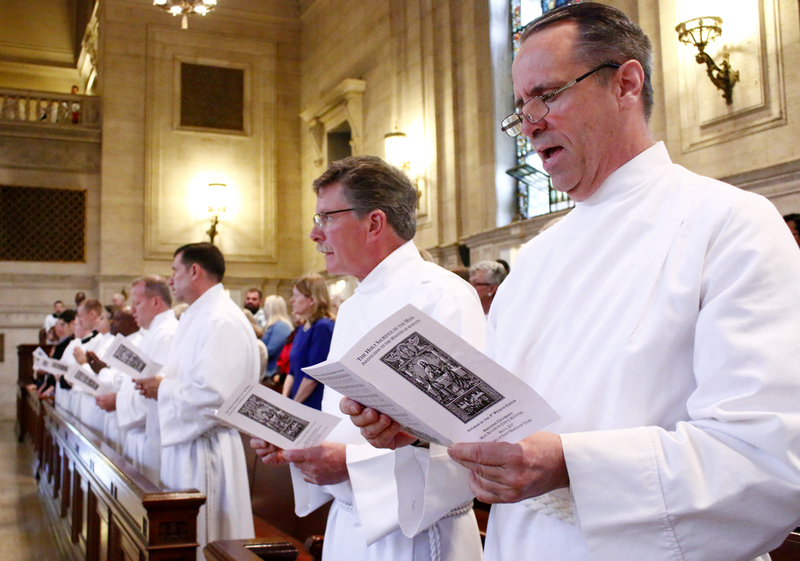 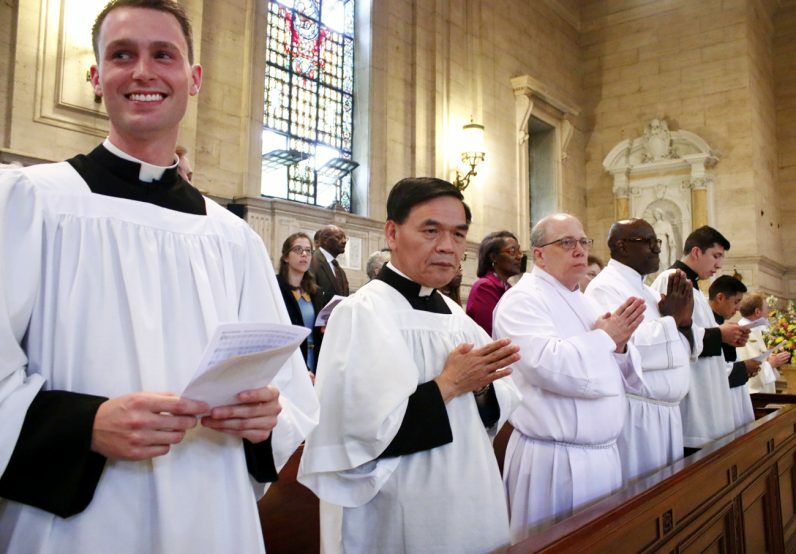 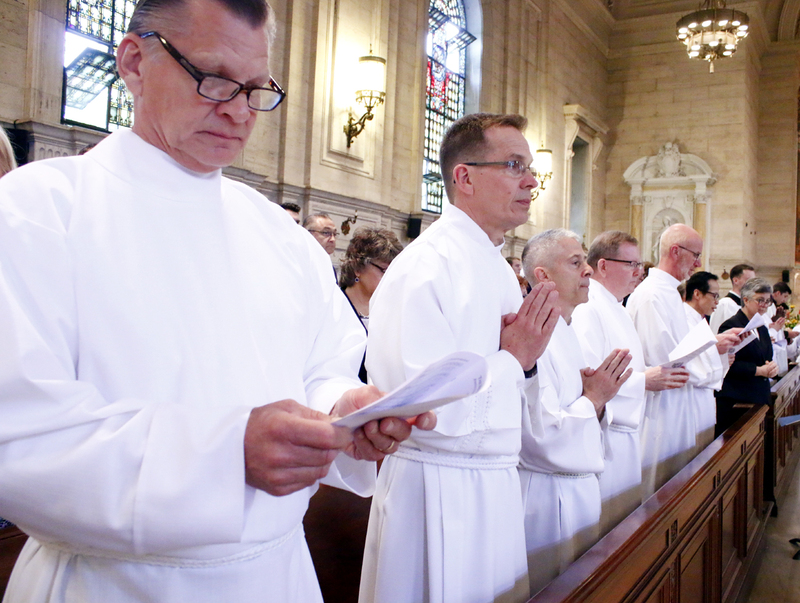 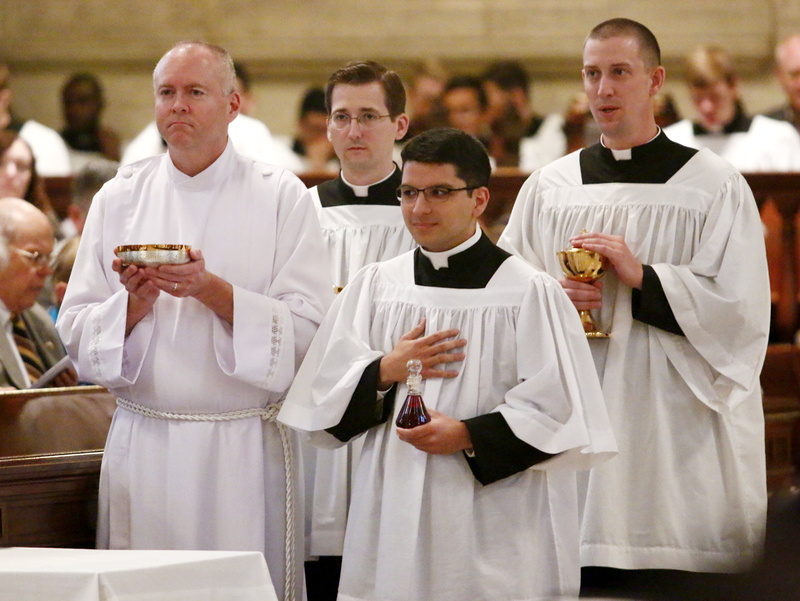 The acolytes of 2017 include seminarians and men in Philadelphia’s diaconate formation program. 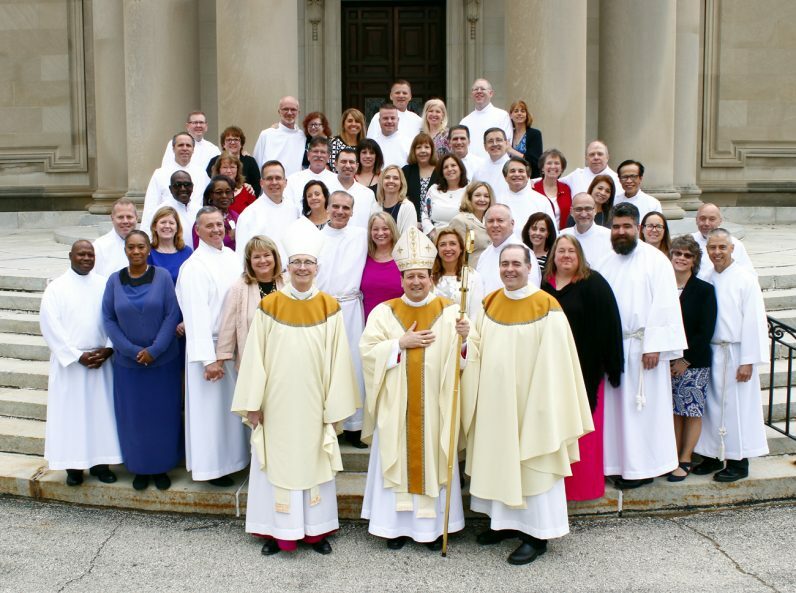 The new acolytes in the diaconate program pose with their wives.